Latest Design Option 7, Photo 5 » Roger Perron Inc. This master bath remodel has modern conveniences in a traditional setting, with a whirlpool tub set next to a convenient step. The large shower and steam room combination is another modern feature that adds to the quality of life and relaxation, with a seat of course. 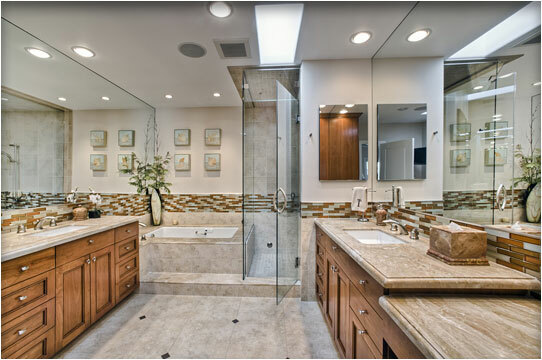 The interesting tile combination has an aesthetic feeling, which satisfies owner expectations.